This Advent, get to know Mary as you never have before. We invite you to take a few minutes, right now, and pray together with Fr. Toups, Sister Miriam, and Fr. Josh Johnson. Create a space at this present moment to allow peace to enter in and prepare your heart for Advent. — Products shown: Rejoice! Advent Meditations with Mary, Journal. This Advent, get to know Mary as you never have before. We invite you to take a few minutes, right now, and pray together with Fr. Toups, Sister Miriam, and Fr. Josh Johnson. Create a space at this present moment to allow peace to enter in and prepare your heart for Advent. — Products shown: Rejoice! Advent Meditations with Mary, Journal. In case you missed it, the Whirlpool is back up and running! Thank you for your patience and understanding. I hope you enjoy the day! Stay cool! Due to the system issues, the Whirlpool is temporarily out of service til further notice. My sincere apologies for the inconvenience. Some residents have asked for info regarding this program from the school dept. So we wanted to share this with you all. Attention Members: A friendly reminder that Yoga with Patty started today and will continue through August 29th!!! 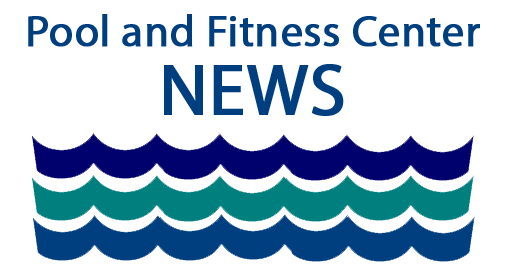 Aqua Zumba with Bessie returns tomorrow, Thursday at 7:45am!!! The North Providence Pool and Fitness Center is proud to announce Dylan Kelly as June's Employee of the Month!!! Congratulations Dylan!!! A few facility members recently recognized Dylan for his hard work and thoroughness with certain tasks that were outside of his routine duties, going above and beyond this month! Dylan is a team player, and is always willing to lend a helping hand. Dylan is both professional and pleasant, and keeps motivated and focused when on the job. Thank you for all that you do, Dylan! A friendly reminder that our 2018 Summer Pool Schedule starts next week on Monday, July 9th! This will be in effect til August 18th! Copies of the 2018 Summer Pool Schedule are available at the Front Desk! Attention Members! A reminder of tonight's event! A friendly reminder of our Pool Schedule for next week, July 2nd - July 6th! A friendly reminder of our Pool Schedule for next week, June 25th - June 30th! The Barracudas Pre - Season Training Group will start practice on June 25th! The Group will practice in Lanes 5 and 6 from 7:30am - 9am.